As a company that has been in the accounting business for over 30 years, we pride ourselves on the longevity and growth we have achieved overtime. Our strength comes from the relationships we have fostered with our clients and our incredible staff alike. 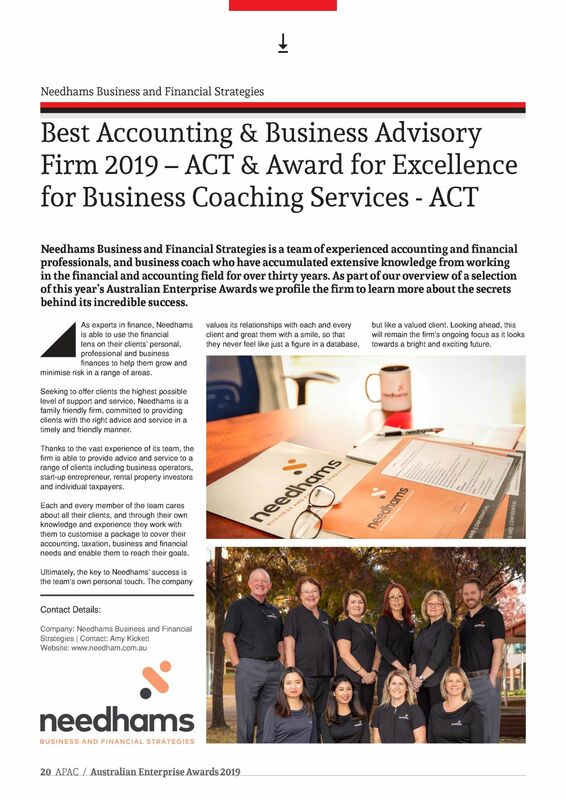 Providing an extension of our services has been a natural progression for us, as we found our clients have greatly benefited from our business advisory and coaching services. By enabling clients and their businesses reach their goals and giving them a bird’s eye view of their business through an accounting lens has been rewarding for the business and in turn for us as a firm. 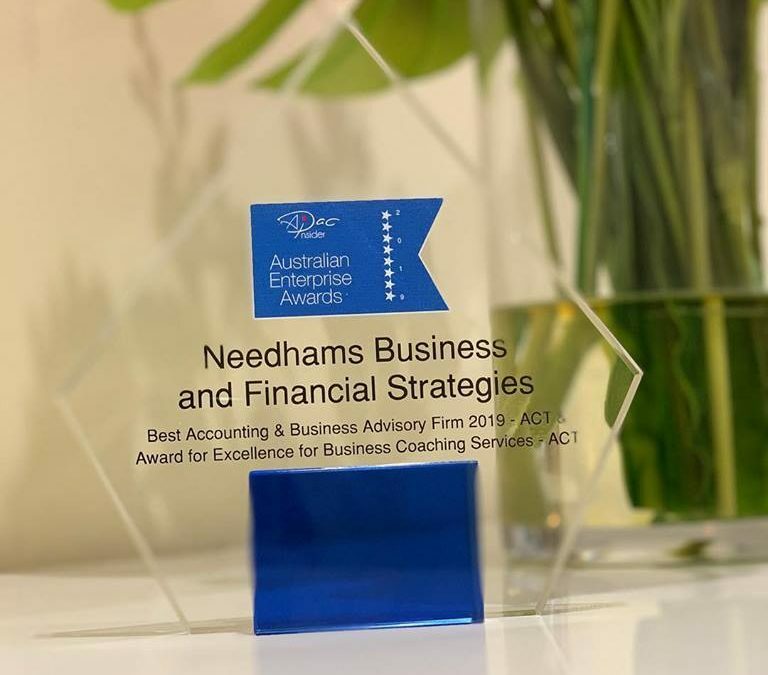 We are honoured to be the recipients of the best Accounting & Business Advisory firm and being recognised for excellence in Business Coaching Services for 2019 in ACT by APAC Insider – Australian Enterprise Awards. It is with the understanding of what our clients want from us and being able to provide them the level of service they expect from Needham’s that has led us down the path of success. We value our relationship with every client so that they do not feel like they are just a figure in our database. Looking ahead, this will remain our ongoing focus as we look toward a bright and exciting future.